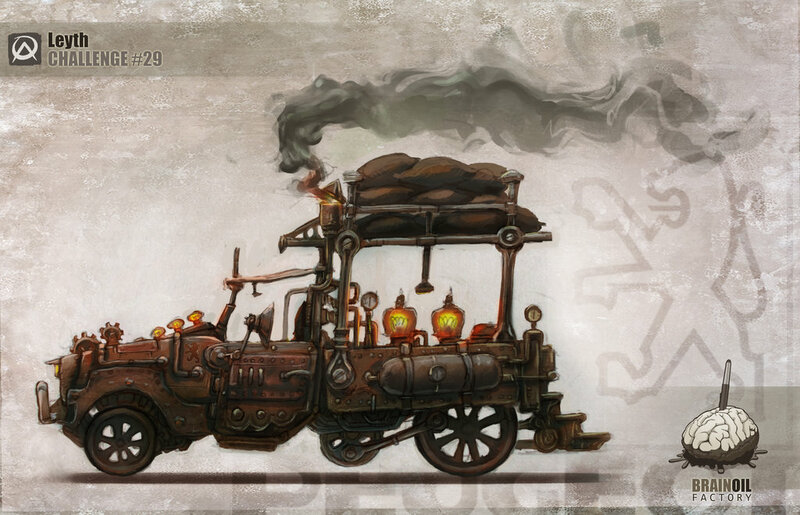 + Redesign of a contemporary car in a steampunk style. + The car brand should stay recognizable. I've chosen this car "Peugeot 504 pickup" not because i like it but because i hate it ! lol.. but i have to see it still turning around in the country roads of Morocco!